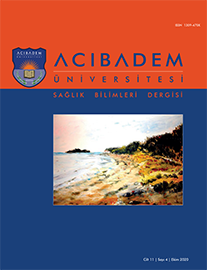 2Özel yaşam Mesleki ve Teknik Anadolu Lisesi, Hemşirelik, Hatay, Türkiye Objectives: This study is in the descriptive design and has been planned to determine social media use characteristics of school of health students in professional organizations. Study Design: The data were collected from 461 participants studying at a school of health in March 2016. The questionnaire form, prepared by the author and in comformance with literature, was used in collecting the data. Results: It was determined that 42.1% of the participants spent 3-4 hours on the Internet in a day. 77.4% of the participant students used social media for the purpose of research. 23% of them became members of a professional group through social media.